All of SOLUT! 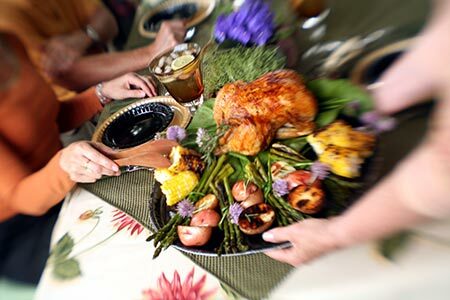 's disposable food service packaging is used by our customers in various food service applications, from fresh to frozen, source to table, food processor to restaurant, and shelf to oven. Since our customers serve, process and/or package food products, we consider our role as a manufacturer of sustainable, paper-based disposable food packaging products to be an integral part of the food supply chain and take the related responsibilities seriously. While we don't actually process or package food itself, we act as though we do. Throughout our production of food service packaging, SOLUT! utilizes industry standard food safety Good Manufacturing Practices (GMP) and more importantly have also implemented a robust food safety quality program that satisfies the stringent standards of SQF, the Safe Quality Food Program. This ensures that our disposable bakeware and catering trays satisfy the demanding requirements and expectations of our valued customers. In 2011, to further demonstrate our commitment to responsibly managing the food supply, SOLUT! was proud to enhance our internal food safety manufacturing programs to satisfy the standards of SQF Code Edition 7.2, level 3-the highest standard for manufacturers, and one that SQF asserts demonstrates a "comprehensive mastery of safety and quality management systems development." The SQF program is recognized by the Global Food Safety Initiative (GFSI) and links primary production certification to food manufacturing and distribution. Administered by the Food Marketing Institute (FMI), SQF also benefits from continual retailer feedback about consumer concerns. The SQF program is recognized by retailers and foodservice providers around the world who require a rigorous, credible food safety program including HACCP food safety and quality managements systems, and is part of a landmark agreement among seven global retailers on mutual acceptance of global food safety systems. 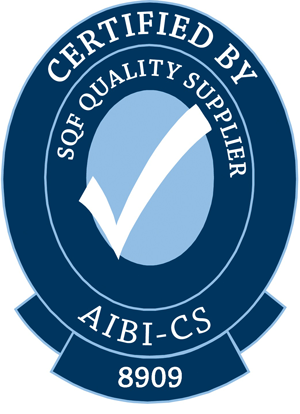 While SQF is designed as a food safety system, it is the only certification plan of its kind that offers special recognition for product quality. As an integral part of SOLUT! 's extensive quality control process for all of our food service packaging, we conduct internal monthly GMP audits and employ third party professionals to conduct an independent Audit of our procedures. Currently, we engage SAI Global, a recognized leader in retail, food service, and supply chain safety, to conduct an annual audit of our manufacturing practices. The SAI Global Certification Audit includes a thorough review of our business operations and practices, including detailed evaluations of food safety programs and training, plant cleanliness, security, facility conditions, pest control, and operating conditions. The audit criteria also include reviews of all practices and product traceability, as well as the performance of a mock product recall. Consistent with the American National Standards Institute (ANSI) National Conformity Assessment Principles for the Unites States, SAI Global's services are designed to provide regulators, buyers, consumers, and other interested parties with the confidence that products have met specified standards, indluding those of SQF, Code Edition 7.2. As a result of our most recent independent annual audit conducted by SAI Global, SOLUT! earned an audit rating of Excellent, the distinction that our quality management system was fully compliant with the standards and requirements of SQF Code Edition 7.2, Level 3; and was awarded its most recent Certificate of Registration dated March 25, 2015. Established in 2005, SOLUT! is a leading innovative manufacturer of sustainable, paper based disposable food trays, catering trays and bakeware. We supply food service packaging to quick serve restaurants, commercial bakeries, groceries and department stores, contract food processors, and distributors nationwide. Call SOLUT! toll-free today at (877) 609-9450 to discuss an affordable SOLUT!ion for your food packaging. SOLUT! 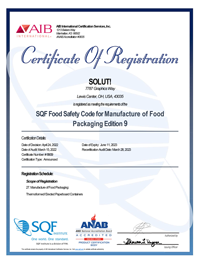 internal food safety manufacturing programs satisfy the standards of SQF Code Edition 7.2, level 3-the highest standard for manufacturers. We are the manufacturers of all the paper food packaging products demonstrated on our site, and we pride ourselves on producing new custom, sustainable food packaging SOLUT!ons for our customers, while constantly innovating to improve upon existing ones. We have always held that our three core standards – innovation, service and integrity – provide the platter from which we serve to make our world just a little bit better. In 2008, we changed our name to SOLUT! to emphasize the core of our business model…providing SOLUT!ons. In 2014, we moved into our recently purchased and renovated 110,000 square foot manufacturing facility in Lewis Center, OH. © Copyright SOLUT! 2018. All Rights Reserved.